You know it's not going to be your day when, just twenty-three seconds into the game, you give up a goal. That's all it took for Vaughan Azzurri's Omari Morris to break the unofficial record for League 1 Ontario's fastest ever goal, set just hours earlier in Kingston at twenty-four seconds. Durham United FC hardly knew what hit them, but then settled down and played good football the rest of the half to keep the score to 1-0 at the break. Alas, it was not to remain that way for the visitors at the Ontario Soccer Centre on Sunday afternoon. Perhaps tired out from a Friday night contest at home that they lost 3-1 to Masters FA Saints, Durham were swamped in the second frame, allowing four goals: two by Azzurri's Joseph Di Chiara, and one apiece by Dena Iezady and Jarek Whiteman. Durham keeper Eugene Alves made several fine stops but was left stranded by his defence on nearly all the Vaughan goals, while Andrew D'Souza in the Azzurri net had little to do throughout the match. The tidy victory was accomplished in part on the work rate and hard effort of Di Chiara, who managed one goal from the penalty spot, and another by breaking through and beating Alves. The twenty-two year-old Richmond Hill native prides himself on his constant movement round the pitch. "I love to run around the field and I feel I play better when I'm moving," said Di Chiara, who managed his first two-goal match in League 1 play. "That's when I'm at my best," said the midfielder, who forms a potent partnership with fellow midfielder Jonathan Lao. Di Chiara said he had been practising putting the ball high and to the right in training and that's where he nailed it from the penalty spot. "I was confident it would go in for sure. I didn't have any doubts," he said. Vaughan coach Carmine Isacco said he thought Durham had some good players and that the visitors were tough to break down. "We gave them some hope (in the first half)," said Isacco. "Our finishing was much better in the second half, our quality and penetrating moves were much better." The victory gives Vaughan twenty-two points after ten games, just two points behind co-leaders Sigma FC and TFC Academy, who crushed Masters FA Saints 8-2 Saturday afternoon. 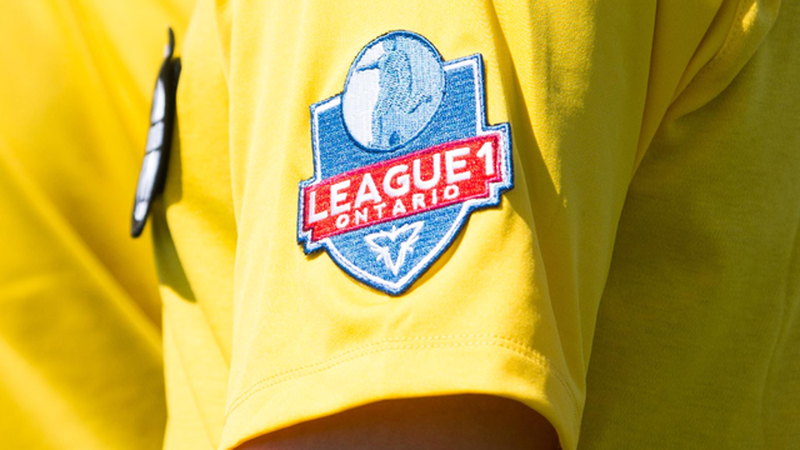 Vaughan plays next Saturday in Kingston at St. Lawrence College at 5 p.m. against the Cataraqui Clippers. The loss keeps Durham on ten points, tied with Masters. Durham doesn't play in the league again until Friday, Sept. 5, in Kinsmen Park, Pickering, at 8 p.m. against Woodbridge Strikers.